Circuit Cellar’s College Digital Program provides electronics professors/instructors a convenient way to make additional technical materials available to their students for class work. 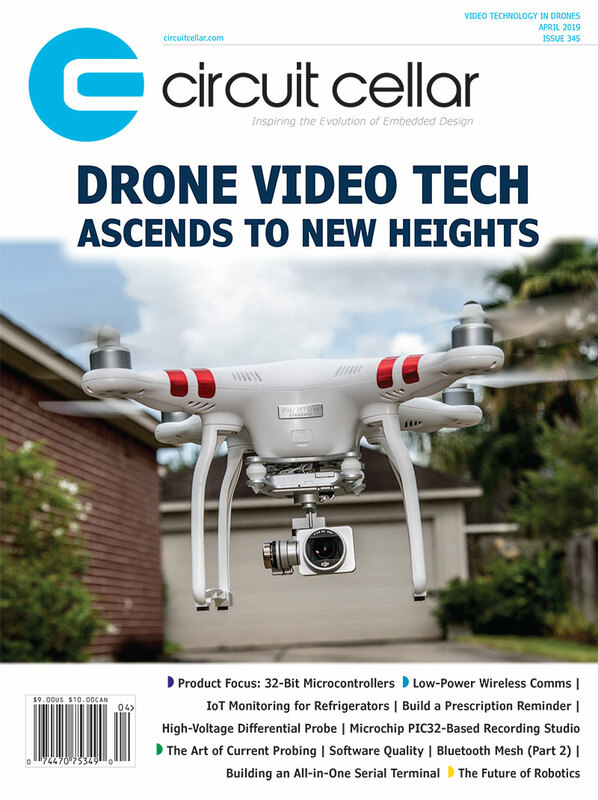 By applying to the College Digital Subscription Program, a professor/instructor can give students access to a free digital subscription to Circuit Cellar magazine. Only a professor or instructor teaching a university-level course or courses can apply and sign up students for the program via this online form. All professors, instructors, and students listed in the application must be currently associated with a bona fide institution of higher learning and must be involved in a course or courses relating to electrical engineering, computer science, embedded systems, programming, robotics, or electronics. All students must have their own account – high access rates on the same account will result in the accounts cancellation. PDFs of the issues are not allowed to be posted on college servers. If the application is accepted, all the registered students and their instructor will receive a free, one-year digital subscriptions to Circuit Cellar magazine. Circuit Cellar reserves the right approve or cancel a subscription at any time for any reason. It’s Free — Students receive a free digital subscription to Circuit Cellar. It’s Educational — Students are given access to articles and tutorials from the world’s best engineers and academics, with new material every month! It’s Inspirational — Every year, Circuit Cellar publishes several full-length articles by students and university teams. Such articles will inspire your students to submit their own article proposals! It’s Current — Students will learn about the newest technologies on the market, from microcontrollers to FPGAs to wireless applications to software technology, and they’ll stay informed on all the latest news within the electrical engineering community. It’s Special — As subscribers, students will be eligible for special subscriber-only promotions and discounts on Circuit Cellar products and those of our partners. Sign Up — Complete the online application form below, adding your students’ name and email addresses in the space provided. If accepted, each individual email address will be assigned a free, one-year digital subscription. Approval — Circuit Cellar staff will determine if all eligibility requirements have been met. Access — Once you’re approved, you and your students will each receive an email notification which will include a link to manage your account and view digital issues. Subscribed — Once you and your students have active subscriptions you will be able to access your copy of the current issue of Circuit Cellar (as well as three back issues). Q: What is a digital edition of Circuit Cellar and how do I read it? A: It is a high-resolution replica of Circuit Cellar magazine. You can view your digital edition in two different ways. Once in your account (via the link in the notification email), you can read it via the online flip-book reader or you can log in and download it as a high-resolution PDF. Q: Who can apply for the College Digital Subscription Program? A: Only professors, instructors, and administrators at bona fide institutions of higher learning. Q: I am a student. How do I get a free subscription? A: Ask your professor or instructor to sign you and your classmates up at http://circuitcellar.com/collegedigitalprogram/. Q: My professor signed me up – Where do I get my magazine each month? A: Follow the link in the inital email notification to access your account and read the currently available issues. An email notification of a New issues will be sent which will also include the link to your account. Q: When is each new issue of Circuit Cellar available? A: Circuit Cellar is a monthly magazine. Each new digital issue should be available about one week prior to its published month. For example, the February issue should first become available during or before the last week of January. Q: If I am signed up for the College Digital Subscription Program, am I also on the program mailing list? A: Yes. Your email will be automatically added to the mailing list. You can unsubscribe from the email list at any time by clicking the unsubscribe link within the email. Q: Circuit Cellar used to send physical copies of the magazine to my university. Why doesn’t it do so anymore? A: Circuit Cellar replaced its old college subscription program with this new digital program because it is faster, more efficient, and cost effective to offer digital editions. With that said, we still offer discount paid print subscriptions for students. Q: I need help with my subscription!